Time is the most powerful witnesses of production quality. 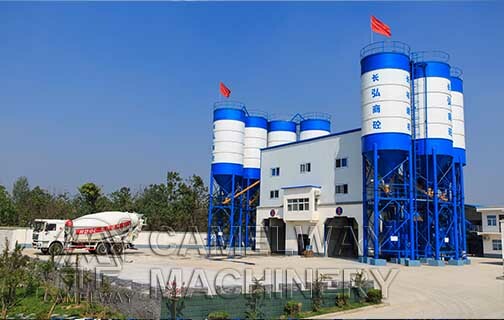 33 year cooperation, ten sets of concrete mixing plants, thirteen-year intact components……they perfectly illustrate the technologies and details of Zhengzhou CamelWay machinery products. As users saying, long-time cooperation is built on the basis of mutual benefits and win-win results. Owing to high quality, excellent services, satisfying the demands of users and building real values for users, the cooperation can sustain thirteen years and still continues in the future. Beijing Jinglianxin Road Material Co.,Ltd (hereinafter referred to as “Jinglianxin”), a large enterprise whose main production of highway construction roadbed material and pavement material, are one of enterprises who supply largest asphalt mixture in Beijing and surrounding areas. Jinglianxin has invested and constructed many asphalt mixture production bases in Tongzhou District, Shunyi District and Changping District of Beijing and Sanhe city of Heibei Province, which include Tongzhou District Maju Bridge Asphalt Mixture Production Base, Shunyi District Beiwu Asphalt Mixture Production Base and Sanhe City Shizhuang Asphalt Mixture Production Base. They have purchased seven sets of asphalt mixing plants and three sets of asphalt hot recycling equipment from Zhengzhou CamelWay machinery since 2003. Main production of Jinglianxin is supplied to Beijing-Shenyang, Jingkai, Beijing-Chengde and other high-speed highway and state’s major highway construction projects of Beijing Four Ring, Five Ring and Six Ring, besides directly supplied to road engineering and municipal engineering, and now is expanded to Tianjin, Tangshan and other areas. Zhengzhou CamelWay Machinery manufacture has an extensive user base in the country, enjoying a high popularity. Some products are exported to Vietnam, Laos, Kazakhstan, Mongolia, Russia, Cuba, Brazil and other countries, being highly praised by foreign friends. If you want to know more information about the concrete mixing station or buy it, welcome to contact us.